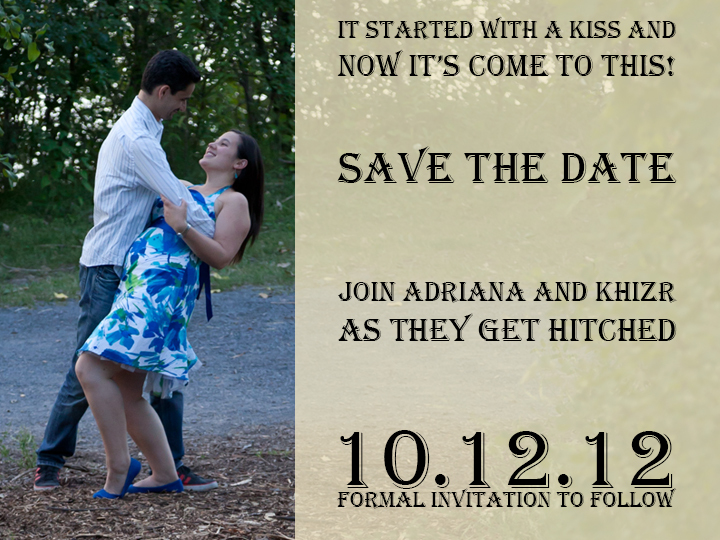 First off you should all know: All of my 2013/2014 collections booked before June 2013 include a Montreal engagement photography session as a free upgrade! With that said: Here are five reasons why you should consider an engagement shoot if you haven’t already. 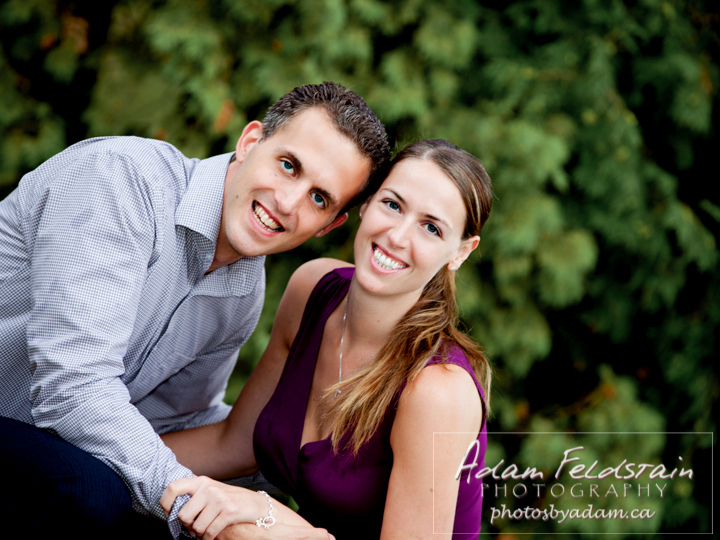 Engagement shoots are a great way to get to know your photographer and how they will work with you on your wedding day. Its important to feel comfortable with them as you will be spending the grater part of your wedding day with them. The shoot can be anywhere, and any theme. I always recommend doing the shoot somewhere sentimental. Perhaps where you had your first date, or where he proposed, or “in that parking lot where you shared your first kiss” (it’s OK I’m not judging 😉 ) . You might find that you will relive some of those emotions and the pictures will be a lot more genuine then just going to “that park on the corner”. One of my couples brought me to a local coffee shop where they were set up. (not really :P) Most couples have never been professionally photographed and are nervous as to what to expect. This is a great chance to experience it in a low pressure situation. You don’t have a limo driver watching the clock or a room full of 189 guests patiently waiting for your arrival. Take the time to be creative and get to know your boundaries. Live it up! Your newly minted “happy and in love” photos can be used for various wedding related products such as: save the date cards or for personalized guest sign-in books at the wedding. some might opt to add them to the wedding album or simply keep them for future viewing. For one of my couples we made a 20″ x 36″ gallery canvas that was put on an easel and all the guests signed it with the felt markers that were attached. After the wedding the caouple had an original and very personalized art piece to hang on the wall. Why I’ve never seen this side of you..
Obviously at your wedding you will be photographed but that is not the same. Last I checked most women don’t go through their closets in the morning and say “humm.. today is a nice day I think I will wear my wedding dress“. The engagement shoot allows for a peek into your everyday life, it shows you being you. It allows for a casual glimpse of your dynamic as a couple. Furthermore the best reason of all to do an engagement shoot; It’s fun! There you have it, five reasons to do a Montreal engagement photography shoot. Want to know more? Book your engagement shoot with me today. This entry was posted in Engagement Shoots and tagged Adam Feldstain Photography, bride and groom, contemporary photography, engagement photography, Engagement shoot, love story, Montreal, montreal engagement photographer, photojournalism, wedding, wedding plans.